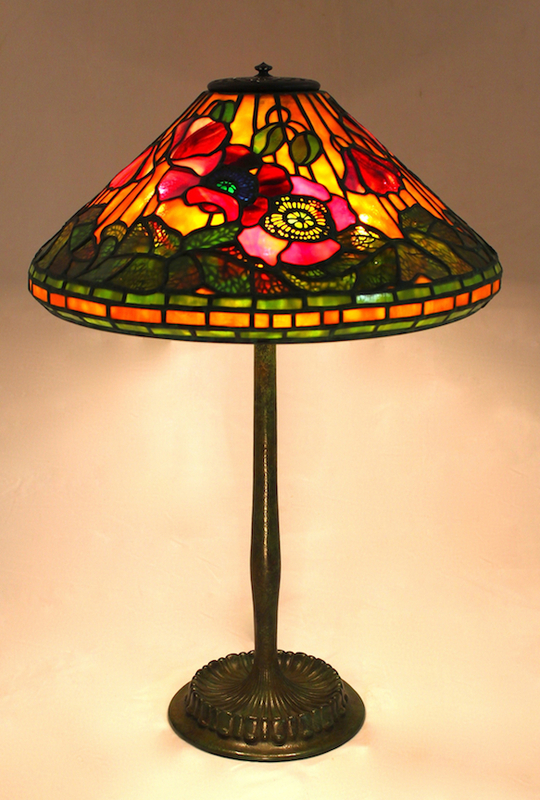 The 16″ Poppy is one of the most popular Tiffany shade patterns. The elegant flowers are tastefully presented on a cone shape, and the addition of filigrees in the leaves and flower centers give an added dimension to the shade. This example, created in 2013 for a client in San Francisco, has a vibrant color palette that is warm and inviting. The richly color flowers are set against an amber background, while the green leaves have hints of red throughout. The shade is shown on the tall Grooved base.